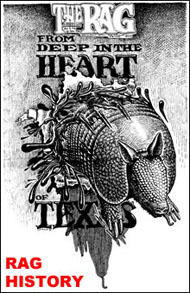 Tapping my ‘nest egg,’ I traveled from rural Massachusetts to trendy Austin… and into the past. 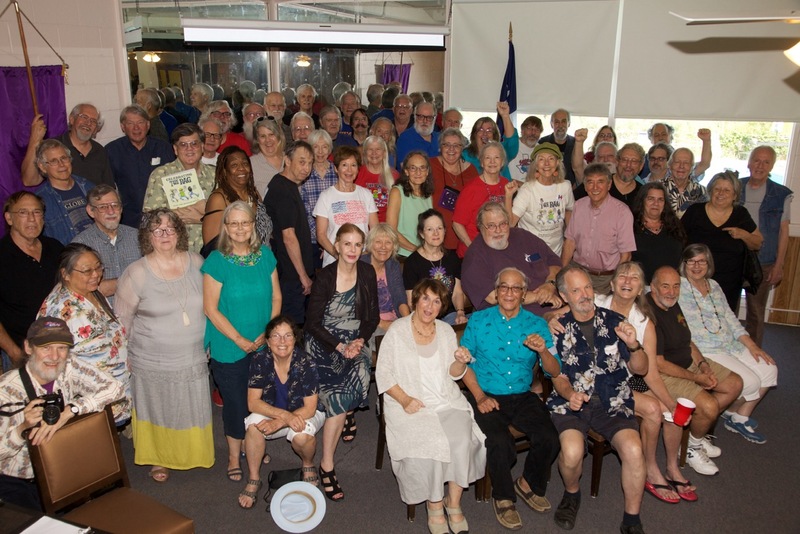 Rag Reunion group shot, High Road on Dawson, Austin, Texas, Oct. 16, 2016. Alan Young, in khaki shorts, is seated in front row, next to last on right. Photo by Alan Pogue / The Rag Blog. Allen Young, our dear friend and colleague from the good old days, came all the way from rural Massachusetts to attend the 50th anniversary Rag Reunion and Public Celebration, a highly successful series of events that took place at multiple Austin venues from October 13-16, 2016. 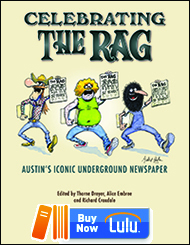 The Rag was an iconic underground newspaper, published in Austin from 1966-1977. A few of us from The Rag also worked with Allen at Liberation News Service (LNS) in New York. At the reunion, Allen Young led a panel on “The Underground Press and the Post-Stonewall Gay Movement.” We asked him to write something about his trip. Prodded a bit by Rag Funnel Thorne Dreyer, who left Texas briefly in the late 1960s to become my colleague at Liberation News Service (LNS) in New York City, I decided to spend a few hundred dollars of my paltry “nest egg” on a trip from my woodland home in Royalston, Massachusetts (pop. 1,200), to Austin for the 50th anniversary Rag Reunion and Public Celebration. 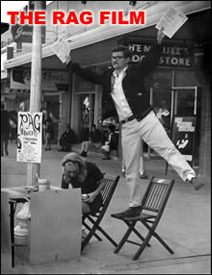 The last time I was in Austin was 1969 for a quarterly national meeting of Students for a Democratic Society (SDS). I had no memory of that event, but I definitely had memories of The Rag. 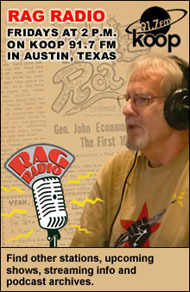 In recent years, I’ve been following The Rag Blog and have been aware of the radio show, too. 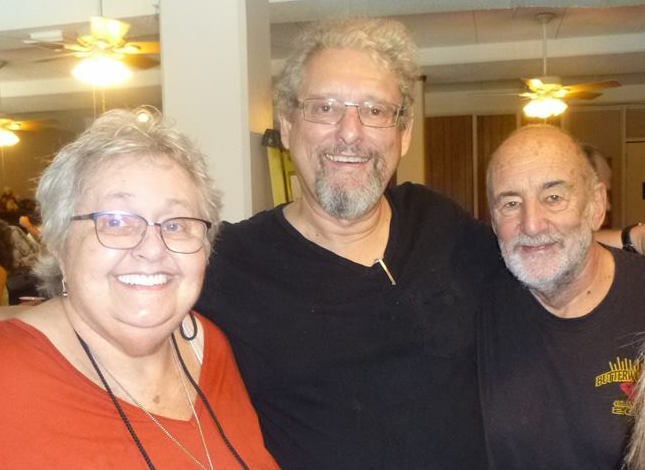 From left: Connie Lanham Moreno, Bob Heilbroner, and Allen Young. Rag Reunion, Oct. 16, 2016. I had a good time at the reunion. Arrangements were made for visitors like me to stay at Habitat Suites, and this was an excellent choice. The accommodations and staff there were excellent. I was quite amused and pleased when I observed that their cable TV list of channels did not include Fox News. I interacted with some people I had never met before — most were lovely women with white hair and lovely men with (diminished) white hair and beards. All had a friendly demeanor, with varied levels of earnestness. But quite naturally, I spent more time with people I remembered from the past, including Alice Embree, Connie Lanham Moreno, and Bob Heilbroner (who came from his home in rural Oregon). I was pleased to be asked to talk at the Rag Reunion about the role of the underground press as the gay liberation movement was launched in the wake of the Stonewall Rebellion in New York City. I focused on my own coming out in the New Left movement (which just assumed everyone was heterosexual), but I also said that once people like me were open about our lives and began writing about gay issues, we created our own alternative press plus we got excellent coverage in the preexisting underground press. I was intrigued by an interesting contradiction I observed at the reunion. While I spoke about President Obama bringing tears to my eyes when he acknowledged our struggle in his second inaugural address by listing “Seneca Falls, Selma and Stonewall,'” other panelists at the reunion denounced Obama’s drone policy and other recent aspects of American militarism. We live in a complex world where nuance is needed in our political views. On my flight back home, I started reading the amazing Rag book (Celebrating The Rag: Austin’s Iconic Underground Newspaper) that accompanied the reunion, and I was impressed by the content — the original Rag articles as well as ones written especially for the book — and I liked the design and layout (inclusion of varied art, comix, and even advertisements from the past). Congratulations and thanks to all who made this event possible, and who created The Rag over those 11 amazing years. Learn more about the Rag Reunion here. 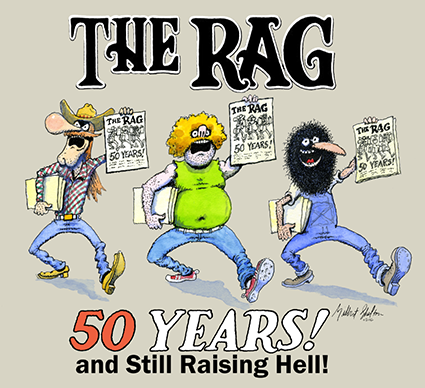 Find out about Celebrating The Rag, including where to get it, here. This entry was posted in RagBlog and tagged Allen Young, Gay Liberation, LNS, New Left, Rag Bloggers, Rag Reunion, Sixties, Stonewall Rebellion, Stonewall Riots, The Rag, Underground Press. Bookmark the permalink. Thank you for attending and for your efforts although we will never meet. While I spoke about President Obama bringing tears to my eyes when he acknowledged our struggle in his second inaugural address by listing “Seneca Falls, Selma and Stonewall,’” other panelists at the reunion denounced Obama’s drone policy and other recent aspects of American militarism.